tears in the fence, #69, Spring 2019 is now available. 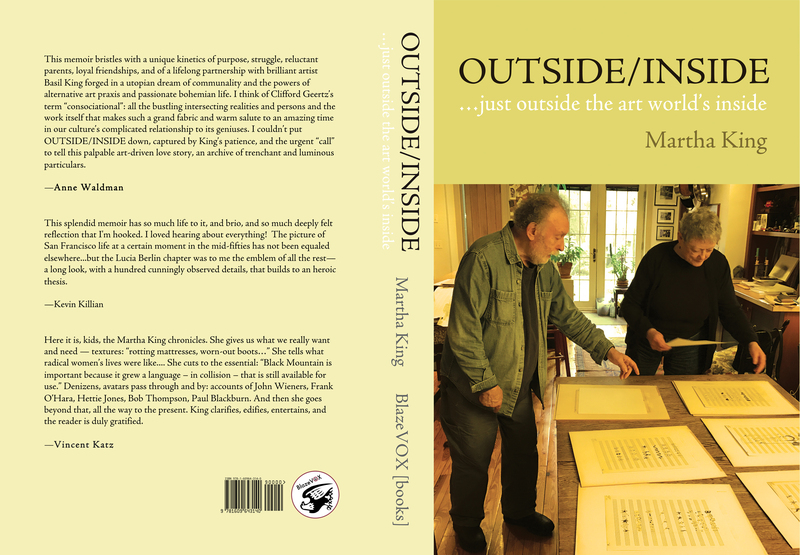 Martha King’s memoir, Outside/Inside…just outside the art world’s inside (BlazeVOX books) is a beautifully written insight into the world of a young woman who studied at Black Mountain College in its last year, arriving with ‘an old hotplate two saucepans, some picnic cutlery’ and eventually fell in with artist and writer, Basil King. She chronicles her subsequent domestic and bohemian life, including a great many significant figures in and around Black Mountain, San Francisco, and New York art scenes. It is an absolute joy to read and leaves the reader uplifted by a deeply felt clarification of the importance of those movements, and with a broad smile. Amongst many highlights is the story of the wedding of the headstrong protagonists, which is both funny and memorable. King’s prose, warmly inviting, succinct and perceptive moves effortlessly from story to story, and is so giving in her generosity of spirit and emotional intelligence. This intimate portrait, dense with detail, of a critical period in American art and writing, is a page-turner, and sure to become a classic. Lovely issue of an always essential independent international literary magazine. Order and subscribe at www.tearsinthefence.com. Use the Donate button. Or mail an order with a check. Four issues for $40 (or $60 if airmail delivery is requested). BTW, “Pick Up a Stitch” is Part Five of a chapbook-length piece called Basil’s Bean Book – not yet published. Another fine review of Outside/Inside! 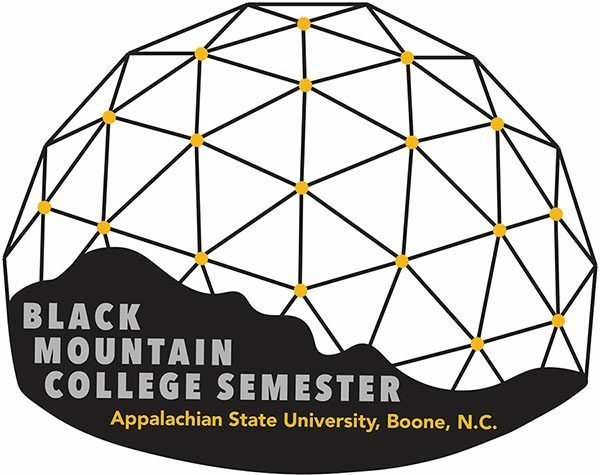 For many years when I was of high school age I wondered what it would be like to go to Black Mountain College. I didn’t know at the time what little I’d heard applied to an institution that no longer existed, except, that is, in the influences it would have on social, economic, cultural and scientific life in the coming decades – and, perhaps, centuries. While I missed out on sharing in that provocative educational opportunity, I had a chance to experience it in some fashion in the pages of Martha King’s wonderful Outside/Inside, a personal narrative that introduces the reader to a pantheon of literary and artistic personalities, not the least of whom is her life partner Basil “Baz” King. 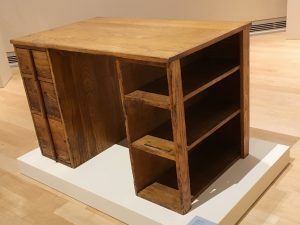 Many of that group shared months or years living, working, creating and recreating at what was Black Mountain, and later in life in other parts of the United States and the world. The appendix of capsule bios of people mentioned “in order of appearance” is as impressive an assortment of creative and influential friends and acquaintances as one might desire to have had in the aesthetically critical, politically and socially conflicted, and economically free-wheeling post-War, mid-Century America. King lays out a personal history of experience as girl, daughter, woman, wife, mother, writer and artist in a captivating memoir overflowing with details of events and conversations culled from decades of experiences that carried her on wings through good times and bad, from a childhood in Chapel Hill to a term at Black Mountain, to San Francisco, New York City, as well as places between and afar, to finally settle in Brooklyn where she and Basil made a home for themselves and their children in Park Slope. 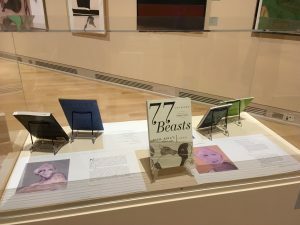 What begins as an explanation of how she came to attend BMC evolves into the story of a lifelong relationship wrapped in a manifesto presenting Basil’s work as authentic and as valuable as any of their contemporaries. 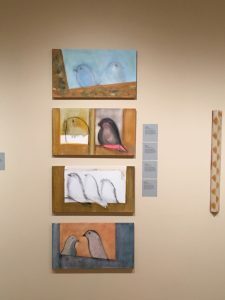 “The jury is still out…” she writes in a preface, in reference to his output, and throughout the book elevates his drawings, paintings, mixed media collaborations and publishing efforts to a level that demands we take another look. 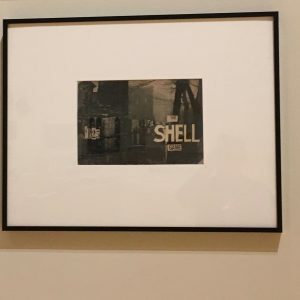 That we analyze and examine Basil King’s output against the backdrop of works by Koontz, Warhol, de Kooning and other of their (and, for many of us, our) contemporaries as more immediately recognizable by name, if not on sight. While she writes of well-known personalities and familiar events, King also offers portraits of friends and acquaintances whose lives ended unheroically in tragedy from disease, addiction and accidents, of failed relationships, of questionable ethics and supreme efforts that went unrecognized. She steadfastly stands by Basil’s work as exemplary, and in a section of the book about their time in Grand Haven, Michigan, discusses his work and influence on a community not used to the sort of incongruous thought patterns that generate energy and evidence of commitment to the creative life. 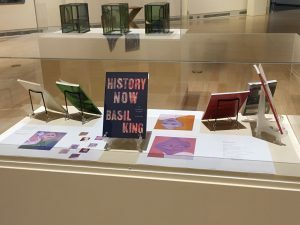 The framework for the claim that Basil King deserves to be remembered for his contributions to life and art is based as much upon his collaborations as with his output, itself. As I write this, I see that Edward Hopper’s “Chop Suey” just sold at auction for more than $90 million, where it was expected to fetch around $70 million. So what is it with art today that the work of someone else who spent a lifetime putting shoulder to the wheel to transform ethereal to material and share it with the world in ways not seen, heard or read before, should not be remembered as having served his master in the same vigorous pursuit of truth? Who is the visionary, and who is popularized by some who should know better? Whose work deserves mention in the afterlife, which is the life of those who survive the creator? King rightfully acknowledges that her belief in the value of the work of Basil King is not to be misread as a woman standing by her man, but as an assessment of output against the panorama of people, places and things she and he lived with and through, and the influences they had on one another, as well as the work of unknown others, that make Basil King’s work important. 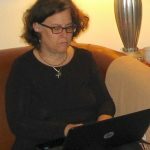 And, as Martha King’s witness to, and assessments of, those same Times prove, she is a literary power in her own right. I don’t believe it is too much to say Outside/Inside is an informative and enjoyable read, and important reference to a vital era of intellectual curiosity and creativity too rapidly passing with its well-drawn characters into the realms of Art History. 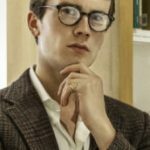 About the reviewer: Mike Foldes is founder and managing editor of Ragazine.cc. I am delighted to announce the publication of Outside / Inside: Just outside the art world’s inside, my memoir published by BlazeVOX Books. The book can be ordered now on the BlazeVOX website, or on Amazon, or by pestering your favorite local bookshop. BOOK LAUNCH! A launch party is taking place at Howl Arts, 6 East 1st Street (between 2nd & 3rd Avenues) on Thursday November 8, 7-9 pm. All invited! 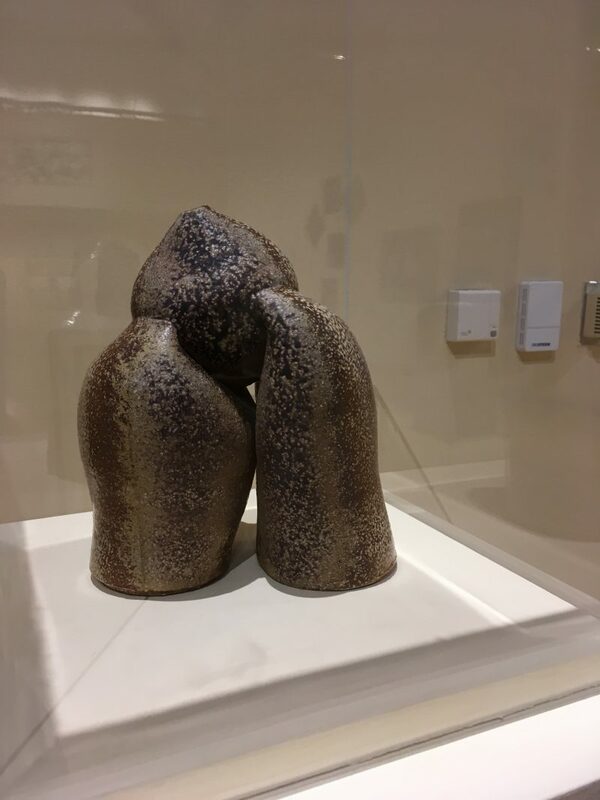 Two paintings by Frank Hursh who attended BMC in 1949; King’s “Perch #4 – The Three Graces” in the middle; Pots by Peter Voulkos in vitrine. From the top: “Perch #16” – “Perch #3” – “Sketch for Perch” – and “Perch #12” — all Basil King, 2017. Overview. Wall in the back begins with King’s “Bird & Company – Cousin Green” at left and ends with “Perch #11 – November 9, 2016” on right. Wall on left full of Dawson collages, hung too high for easy viewing, alas. 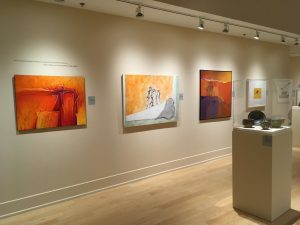 From the left – paintings by Hursh, King, Susan Weil, King again. Logo for the exhibition and the University’s semester-long BMC celebration. The online magazine Talisman has just posted issue #46 with a substantial section of critical responses to Basil King’s art and poetry…which a number of the commentators have so rightly considered together. Go www.talismanmag.net to read and see. Yes, see, as there are links to Basil’s visual art and a provocative selection of his rarely seen works on paper in Kimberly Lyons essay. 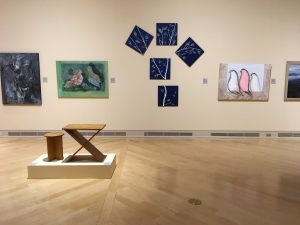 And as infomercials say, “WAIT, There’s more!” A group of Basil’s recent paintings, a selection of his books, and a selection of my (Martha King’s) publications are now on view at the Turchin Center for the Visual Arts, Appalachian State University, in Boone, North Carolina. 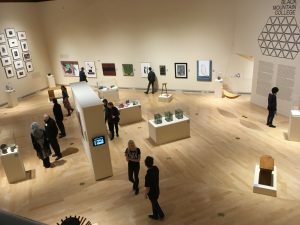 The exhibition celebrating “Creative Democracy: The Legend of Black Mountain College” will be on view until June 2, 2018. To view the invitation, copy this into your browser: https://files.acrobat.com/a/preview/ead3a302-ecbf-4140-a4bf-5d671a4c2989. Basil King is represented in this exhibition with twelve recent paintings. 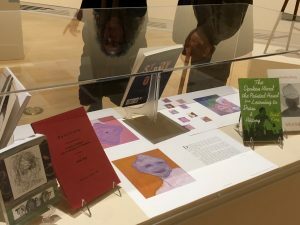 Martha King and Basil King are represented in displays of broadsides, books and magazines in which their literary and art works appeared. On March 1, 2018, at 6 PM Basil King will give an evening talk on his experiences as a student at BMC, its impact on his development, and his perspectives regarding the continued and growing interest in Black Mountain ideas. He and Martha King will be attending the Exhibition Celebration the following night — 6PM to 10PM. Joshua A.W. 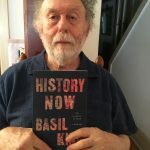 Gardner in his review of Basil King’s latest book of poetry, History Now (New York: Marsh Hawk Press, 2017), “connects the dots” between King’s visual art and the poetry he has been writing since 1985. Gardner finds his “intellectual kinship with the poet Charles Olson” seminal and concludes that King has made himself “a living extension of the Black Mountain legacy” by freely intermingling historical facts, poetry, language, politics, and the capacity to have more than one voice. The review is 7 pages including photographs, notes, a reproduction and a link to SPD for ordering the book. 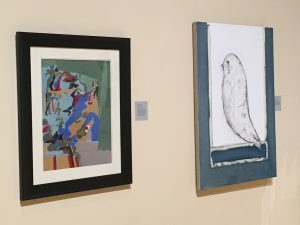 This follows publication of Kimberly Ann Lyons’ essay “Here is Another Somewhere: The Visual Art of Basil King” which focuses on the influence of Robert Duncan and his aesthetics on Basil King’s art. She identifies Duncan’s concept of art involving the weaving and the unweaving of a figure…”the twist that permits emergence of mercurial genius”… as instrumental in King’s development. He was an art student at Black Mountain College when Duncan taught there in the 1950s. The article is 14 pages and has six small reproductions of Basil King paintings. 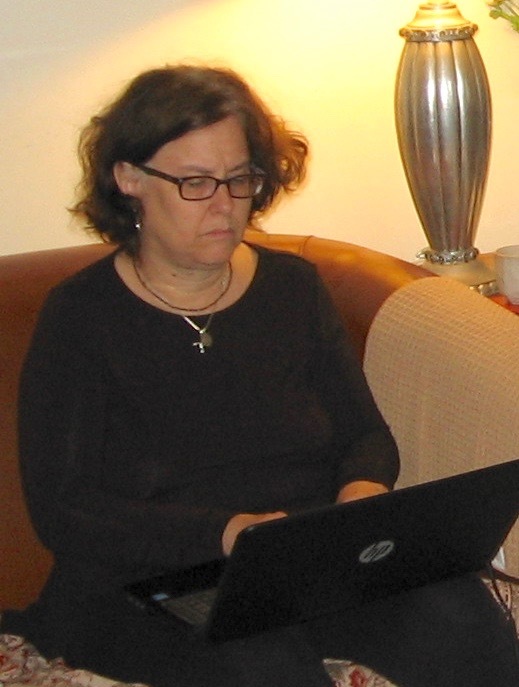 News, opinion, excerpts, and images from Martha King – of my work and Basil King’s. There are, as it happens, two of each of us: The "other Basil King" was a Canadian Christian minister and novelist (1859-1928) – see page above. And the "other Martha King" was Martha J. King, who died in 2011. She was an editor and translator of contemporary Italian writing, especially women’s. See my post of February 1, 2013. Neither of these are us!